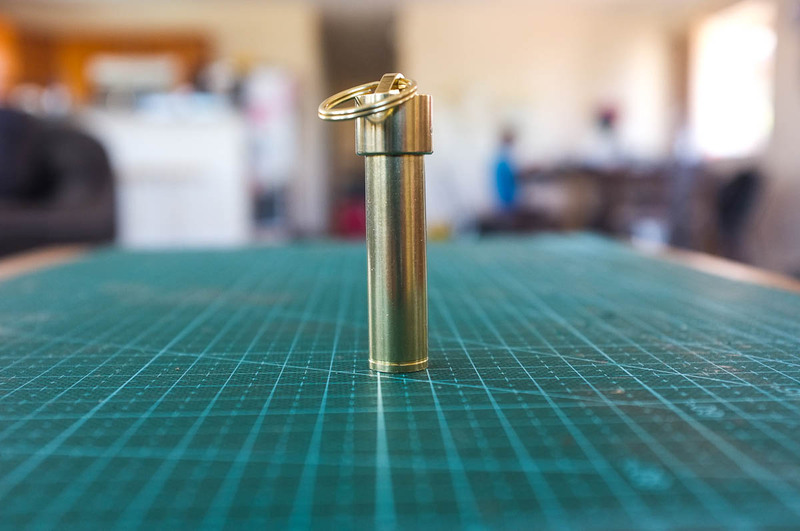 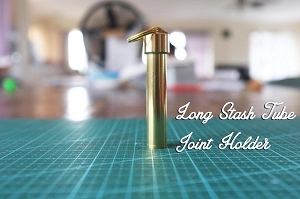 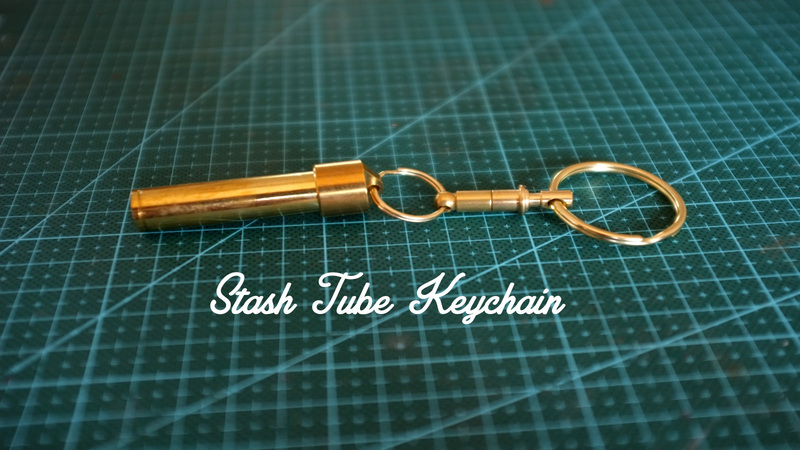 The coolest brass stash tube ever! 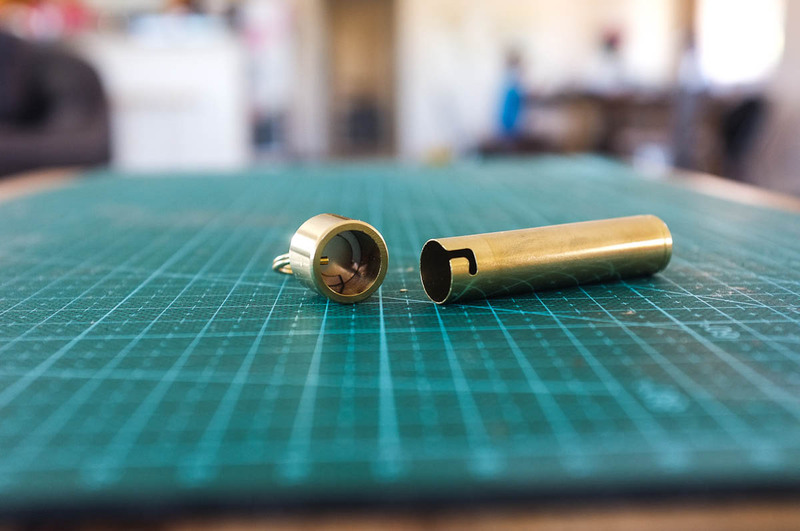 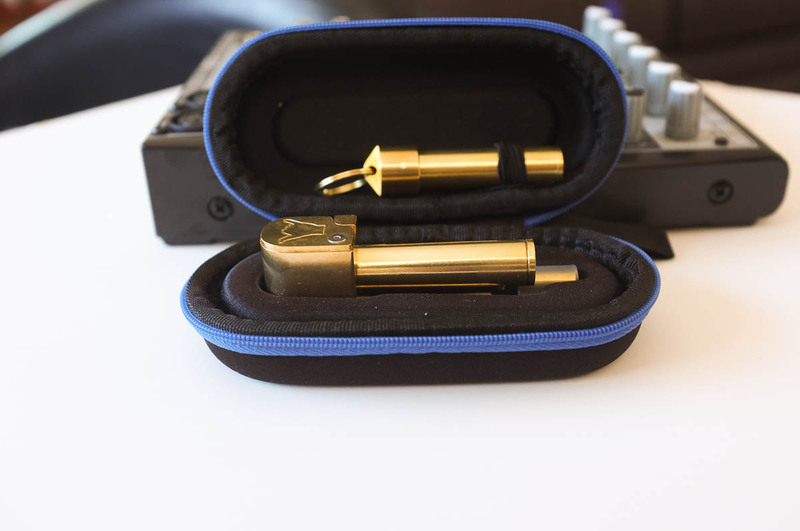 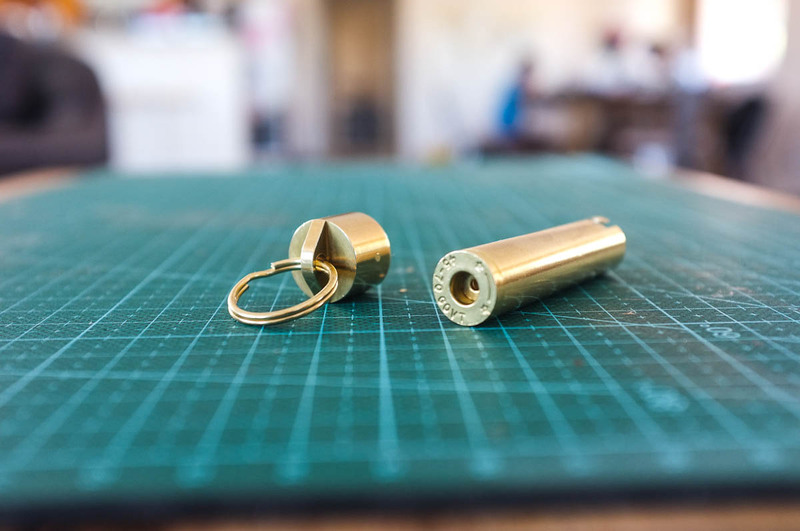 A genuine new brass rifle case is machined to cleverly lock onto the head cap as the stash tube. 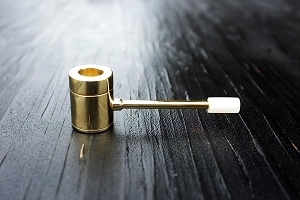 Works perfectly with Punchbowl pipes. 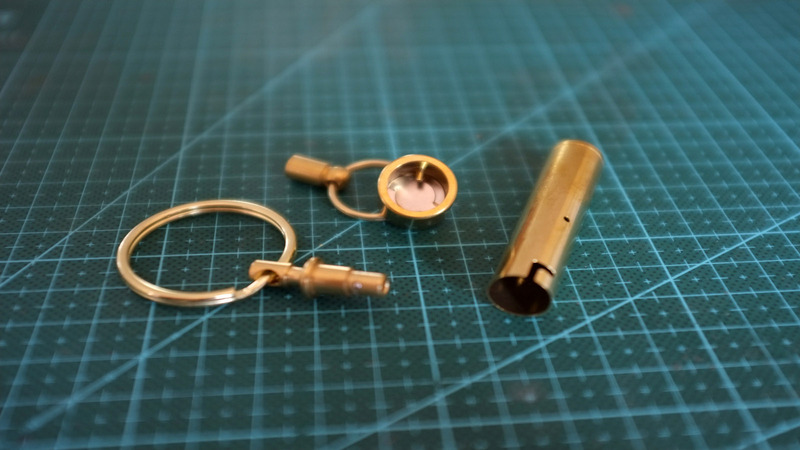 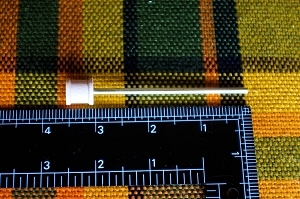 It can be attached to the lid of the pipe cases. 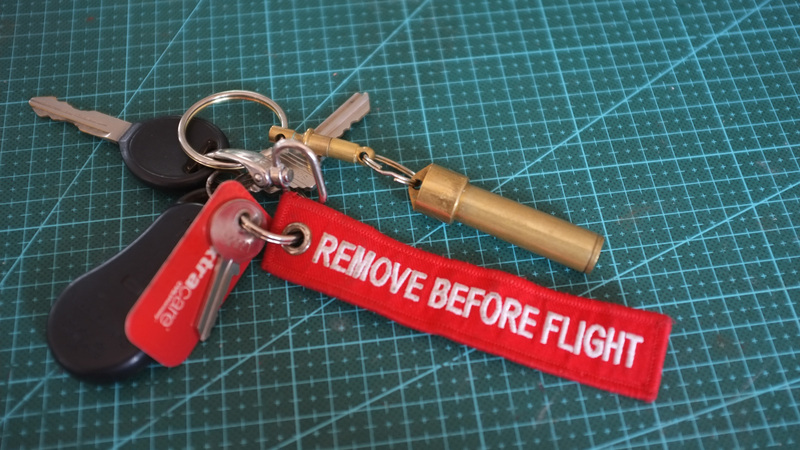 Double your mileage for only 15 bucks!